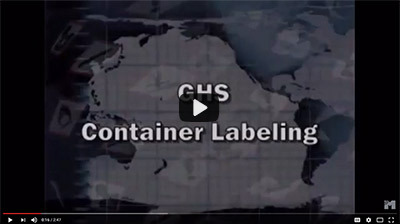 The GHS label system is one of the most easily recognized systems used in industries today. The OSHA 1910.1200 Hazard Communication Standard (HCS) was updated in 2012 to align with the Globally Harmonized System (GHS). 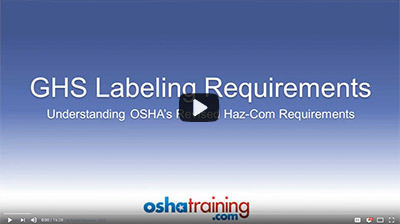 OSHA makes it clear that labels are required in certain circumstances, and when using the GHS labeling system, every label must contain specific information. These labels also must be formatted correctly to convey a message that is easy to understand. Appendix C of OSHA 1910.1200 is where most of the information concerning GHS labels is contained. All facilities that work with any type of hazardous substance need to be familiar with this appendix. It is broken down into multiple sections, each of which covers a specific label element. When the Health Hazard Pictogram is being used for Respiratory Sensitization, the Exclamation Mark Pictogram cannot be used for Skin Sensitization or Skin or Eye Irritation. OSHA requires that any text that applies to the hazards of the substance being labeled needs to be directly on the label itself, with some very specific instructions. The hazard statement text should include detailed information. If exposure to a particular chemical can cause organ damage, for example, the hazard statement should state which organs are at risk. Combining hazards in a hazard statement is permitted. This is often done to reduce the total amount of text and make it easier to read. This can't be done, however, it if it will cause confusion or make it more difficult for people to understand the label. When chemicals are mixed or otherwise changed, the hazard statement can leave off particular hazards if they are no longer present. If a flammable chemical has been diluted with water to the point that it is no longer flammable, for example, then the label doesn't need to state that it is flammable. Precautionary statements can be one of four types: prevention, response, storage, or disposal. The main points made in a precautionary statement must be in bold print and they should appear prominently on the label. There are a number of approved precautionary statements that manufacturers should provide. When there are "/" between two or more statements, that means the people creating the labels can choose which statement is most appropriate, and only one should be printed. For example, a chemical may have a precautionary statement option of "eye protection required/face protection required. " In this case, either of these two statements will suffice, and both are not needed. Any time a precautionary statement is in italics, it means there are conditions that apply to that statement. These can be used when a hazard is only present in certain conditions. The italics comments are typically not going to appear on a GHS label. When precautionary statements are written with brackets [ ] around them, it means these do not apply in every case. Facilities creating labels need to evaluate any statement with brackets around it to ensure it actually does need to be on the label. In many cases, it can be left off completely. As one might expect, these labels have the potential to get quite lengthy and even confusing. The whole point of a GHS label is to provide the needed information quickly and concisely. To help keep any type of non-standard or less important information from causing more confusion than clarity, there are places for supplementary hazard information. This information may not impede the more essential information and is typically placed off to the side so it doesn't draw as much attention as the other sections of the labels. Prevent - Prevent skin irritation by avoiding direct contact with exposed skin. Wear gloves or other personal protective equipment whenever working with this chemical. Response - If this chemical comes in direct contact with the skin, wash it off immediately using clean water and soap. Rinse the area for at least five minutes to minimize the risk of skin irritation. Storage - This chemical should be stored in a sealed container and kept away from external heat sources. Disposal - Do not dump this chemical into any body of water or down drains. Bring it to an approved chemical disposal center. These are simple examples, but these four categories can give employees and employers all the information needed to safely work with just about any type of chemical. In most cases, the four categories can be fairly short, but it is important to ensure all necessary information is included. One particular concern that some people have with GHS labeling information standards is that it provides detailed information about what chemicals or solutions are in a container. Some manufacturers have trade secret formulas that they do not want getting out to consumers or competitors. The GHS system has not made an official pronouncement about if and when a manufacturer can omit information or use generalized terms in these situations. The only thing said is that non-disclosure of trade secrets or other confidential information should not compromise the health and safety of those who use the product. While not as bold of a statement as some would like, this does set a guideline that hazardous product manufacturers have an obligation to put the safety of users ahead of their own product confidentiality. Whenever using GHS labels, it is important to note this should be just one of multiple forms of hazard communication. If a product is hazardous and is being used in a facility, the container in which it is stored should be labeled. In addition, there should be placards, safety data sheets, or other informative items that provide users with needed information. This is critical because there are times when it would be unsafe to approach a container just to read the GHS label. If a container is near an open flame or leaking on the label itself, for example, the users should be encouraged to keep their distance until they can read the proper responses on the safety data sheets. Chemical manufacturers have the obligation to properly evaluate the particular hazards of the chemicals and products they produce. This evaluation should be done using standard scientific testing or other accepted practices. The GHS standards do not require (and actually discourage) animal testing to determine hazards. Once the manufacturers determine the hazards, they are responsible for providing this information to the companies that purchase their chemicals. This is typically done by using safety data sheets, which are included with chemical shipments. 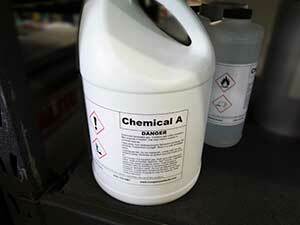 In addition, manufacturers will label all chemical containers using the standard GHS information. While the manufacturers are responsible for evaluating the hazards of particular products and chemicals, it is the responsibility of each individual employer to display these hazards. This means that if a chemical container arrives at a facility with no GHS label, the employer should print one off and apply it to the container. This is why having an industrial label printer is so important. Many companies have large containers of chemicals that last a long period of time. If the GHS label becomes damaged so that it can't be easily read, the employer is responsible for replacing the label so it is always easy to see. Other forms of displaying hazardous information are also the responsibility of the employer. Safety data sheets, for example, should be kept in a known location so employees can access them and read them as needed. The GHS system offers companies many important benefits. One significant benefit of this system is that it was not created by any one government agency. Instead, it was created by experts from a variety of countries, organizations, stakeholder groups, and others, working together. This is important because it allows companies from around the world to adopt these standards no matter where they are. In today's global economy, companies from many countries work together, which means having universal standards is critical. 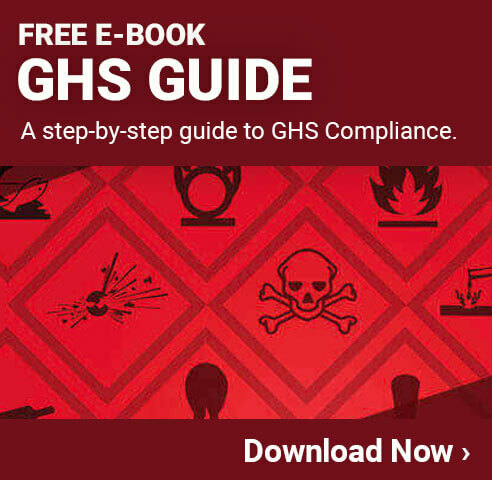 Of course, government organizations, including OSHA, have adopted many of the standards that GHS developed. This is further proof that the GHS standards follow widely accepted industry best practices for safety. Another great benefit is that since a global audience uses these standards, the labels are designed to be helpful to as many people as possible. This is why the GHS labels include pictograms, which can be understood by people no matter what language they speak. Many companies find that having a set standard for all their hazardous material labeling is very helpful. Rather than having to come up with unique labels for each type of chemical, companies can simply populate information into label templates and then print them off using an industrial label printer. This makes it much faster and easier to get the needed labels. There are many other benefits to using GHS labels and the GHS standards in general. These benefits can only be realized, however, when GHS labeling is done according to the accepted standards. Everyone in a facility needs to be aware of the GHS labeling standards and be able to follow them. This includes the employees who will be working directly with the hazardous chemicals. In addition, however, it will include management or safety professionals who may be responsible for creating the labels. Even those who rarely work with or around hazardous chemicals should at least have a basic understanding of what the GHS labeling system is.